Connolly will be competing in her final cross-country season as a high-schooler and we're expecting it to be a special one. Last year on the trails, the Natick standout was selective, competing in just a handful of high-level meets as well as her league meets. The few times we did see her, Connolly did not disappoint. She won by more than 30 seconds at the McIntyre Twilight Invitational where she clocked 17:13.93 for the generous five-kilometer layout. She also had dominant wins at the Eastern Massachusetts Division 1 Championships (17:40.87) and the Division 1 race at the All State Meet (17:50.18). 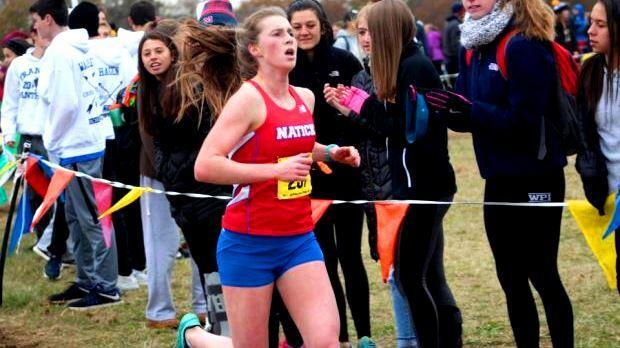 An unfortunate slip on the trails at the Foot Locker Northeast Regionals prevented Connolly from a second straight trip to the nationals in San Diego, but it should be a reversal of fortunes this time around. The Red Hawks' standout is a heavy favorite to win her third consecutive individual title at the All State Meet. Connolly also has the potential to be among the best nationally. She was ninth at the Foot Locker Narionals as a sophomore in 2016. Based on what she did last year in XC and track, and throughout her career, we're thinking a top-five performance in San Diego is not to far-fetched. Connolly is coming off one of her most successful seasons on the track. She focused primarily on the mile and was consistently in the low 4:50 range, clocking 4:50 at the divisionals and 4:51 at the All States. She capped it off by earning All-American honors at the New Balance Nationals where she was a runner-up to Katelyn Tuohy of North Rockland with a PB of 4:49.34.